"How To Motivate Your Students To Practice … Even A Young, Stubborn And Badly Behaved Child … Into An Inspired Student Who Practices Their Music Daily – Starting With Your Next Lesson!" Here’s why: You’re about to discover how I went from struggling to get my young students to practice even twice a month … and dropping out of my lessons like flies … to making them feel excited about playing their instrument and even looking forward to coming to my lessons! And the best part? It’s so simple, so easy, yet so effective that you’ll see the transformation in your students (from boredom to excitement) from the next lesson you start using it! Now if you find that hard to believe, I don’t blame you. Especially if, like me, you’ve tried everything to motivate young children to learn a new musical instrument. (I’ve tried "bribing" them with candy, toys, and even threatening to tell their parents – but nothing worked). strategy that gets children excited about learning music – and I don’t you to miss it! My name is Janice Tuck. And I’ve been a music teacher for the the last 15 years. During that time I’ve taught literally hundreds of young children how to play the piano – so I know how hard teaching music can be! As the teacher, if I ever tried to enforce a rigorous practice routine with young children, saying things like "You must practice for half an hour every day", then they might get a little practice done, but it would never last. Children need an extra incentive(especially young children). They need a reason for practicing their instrument regularly. And the best reason for children is FUN! That’s right, the secret to motivating young children to practice their instrument often is to make the whole learning experience F-U-N! This is where games came in to my music lessons. I developed a whole grab bag of ideas that I could pull out to inspire, motivate and encourage the children. And guess what? They worked … like crazy! The games you’re about to discover work with individual students, some work with small group classes, and some work with large school classes. My husband happened to by a whiz on the computer, so we put it all together, and we tested and trialed these games for three years in our own music school – and the results were instant and outstanding! and keeps Children coming back for more! "The games from The Fun Music Company have really improved the motivation of many of my students. My private piano students work extra hard during their lesson to “earn” a few minutes of game time with me at the end of the lesson. This game time with them is a great opportunity for me to assess whether they are really understanding concepts we have covered. " "WOW!! These games are fantastic. My daughter begs me to play them with her and I’m amazed at just how quickly they have helped her music knowledge. I wish there had been games like this when I was learning all those years ago!" "At last I have been able to test out your material with my students. These students aged between 12 and 18, are either autistic or have other learning disabilities. A few of these students do have private lessons, but my job is ‘classroom music.’ Your material has been an excellent teaching aid for them. We listen to music while we use the games and between about 14 students we have four teacher aids to supervise the groups. We have specifically enjoyed and learned from Rollup, Musical snap and Gofish. I am particularly pleased to have found these informative interesting games, which add variety to what we can do in the classroom." 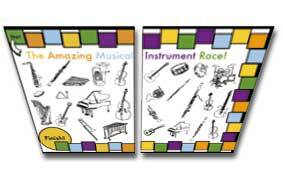 What we ARE offering with this website isPrintable Materials that you can use to support a child’s learning music. Is this for private music teachers? This is great for private music teachers to use to “spice up” their lessons, especially for YOUNG children. Is this for classroom music teachers? This is full of great ideas and materials that can be adapted to classroom music, especially for the early grades that can be your worst nightmare! There are even games that you can give to a group of children to play by themselves. I’m a parent – Can I use these games to help my child? These games are great for you – you can use them to inspire and motivate your child to practice like never before. And don’t worry if you don’t know lots about music – full instructions and a glossary with all musical terms is included. Learn the C major scale and interval relationships with this one. Great for a small group “reward” at the end of a class. Children have to watch very carefully in this one, as the pitch and rhythm has to match! Learn your terminology of the rhythm symbols with this one! Adding up beat values has never been so much fun with these games! The “Who am I” of Musical Instruments! Great fun for the whole class, as one student reads a clue and the others have to guess which instrument they are talking about! 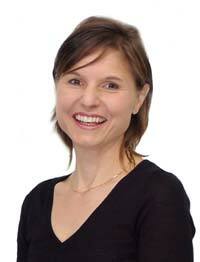 "I teach elementary music and I also run a private music instruction business on the side. These games are FABULOUS!!! I have actually created several like these myself to take to private lessons and give my instructors, but these games look professional, add character to the exercises, and are much easier for me to obtain-instead of creating my own! I simply print them out on different color card stock paper and have them laminated! I am so glad to have found this web site!" 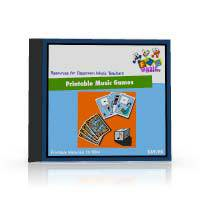 In Printable Music Games there is no fixed order – you don’t have to play one after the other and they can be adapted to suit all ages and stages of learning. Control for the parent or teacher using this resource. You have a wide choice to match concepts the child is learning at the time. In the games the emphasis is always on having fun – Children learn more because they are having fun. The serious bit of the practice needs to happen first, and the games can be used in conjunction with the Fun Music Company incentive systems to motivate and inspire the practice. In the past, if you wanted a music game, you would have gone to your local sheet music store. There you might have spent over $20 on ONE game – probably a pack of flashcards that you can do some “memory match” or “snap” type games with. What would have happened is that your children would have enjoyed it, and the cards would have gotten well used. The pity is that they would have been so well used that they would have only lasted six months or so before they would have been lost, torn or eaten by the dog! With this game set you have NO limits on how many times you need to print the materials. Therefore, when one set of cards gets a bit too well used all you have to do is go to your computer and print out any other one! How much would it be worth for just one game that can never be used too much?, and that can never be lost, eaten or stolen? You will find out soon what small investment you will have to make to ensure a lifetime of musical fun!
" I’m loving these games! They are easy to print off, easy to understand and don’t take a lot of time in the class to play, but the kids love them. So glad I’ve found this site "
This format means that these games can be printed on any computer, Mac or PC. Adobe Acrobat Reader even offers a feature of resizing the files to fit your paper exactly. 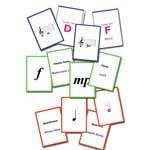 "The fun sheets I have used so far during my music teaching classes have been really helpful in my theory teaching. They also keep the students occupied and learning if they arrive early for their lesson. I thank you both for allowing me to use your work and thanks for the time you spent putting it all together." Over 150 pages of printable game materials! Subscription to the Fun Music Company monthly newsletter, providing regular updates and tips on getting the most from music education. Lifetime Access to Updates and improvements! 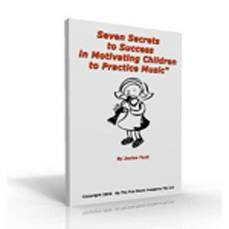 In this E-Book I have written down my ultimate success formula for encouraging children to practice their musical instrument. These ideas are simple strategies that work time and time again. Just this is worth the purchase price alone, as it contains priceless strategies in encouraging and motivating kids! 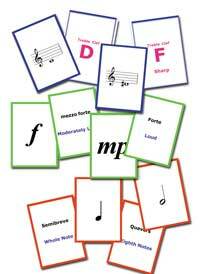 These printable stickers and practice charts have proven hugely successful in getting children to practice music. Along with the E Book strategies that you will learn in our system, you will find them indispensable in motivating and inspiring children. These printable flashcards will be invaluable for you whether you are a teacher or a parent. Take them everywhere and use them for quick drills to get your child understanding and knowing musical concepts. You can even make up extra games using these flashcards, or substitute them into the games for even more variations. There are 15 pages of Self Checking Flashcards (60 Cards in Total), and you can even use these as a reference to learn the pitches and symbols yourself. So what would you expect to pay for such an amazing resource? If you were to go to a music store looking for a music game then you would be paying at least $20 for one single game. This is for a game set that you can only use until it gets too scrappy or you lose some of the pieces. This can’t happen with Printable Music Games. You have lifetime access to twenty distinct games with many variations that you can print as many times as you need. So the true Value of Printable Music Games should be $400 or more, given that you have access to 20 unique games with variations, and that you can print them as many times as you need. 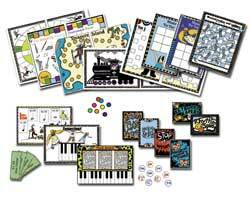 We had quotes on creating “Printable Music Games” as a boxed game set that would sell in music stores, but we found that it would have to sell at over $600 in order to cover just the printing and distribution costs! Because we are able to distribute it in this unique online method, we have been able to keep the price to just $69. At the Fun Music Company we are dedicated to providing the best resources for motivating, inspiring and teaching children about music. 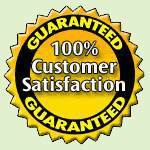 We personally guarantee your satisfaction right down to the very last day of the 90 day trial. Here’s how it works: Sign up as a member today, and you’ll be given instant access to the entire printable music games members area. Go through our massive collection of over 20 unique games with dozens of variations designed for different teaching situations, ages and class sizes. Start using them during your lessons and watch first hand how these games will inspire and motivate children to greatness. And if after 90 days, you’re not 100% satisfied, then we insist you to ask for your money back. And we’ll issue you with a complete refund in full! 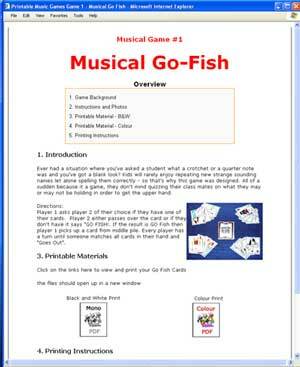 Printable Music Games is unique. How do I know this? – because I was a music teacher for years, and I spent hours and hours looking for it! I scoured the internet, as well as searched book shops, music shops and everywhere I could think of for ideas and game materials. These resources are not available for free, and even if you want to pay for them you will not get the kind of value that we offer in Printable Music Games anywhere, offline or online. The fact is that I no longer teach music. We spent a whole six months to creating and completing this product, and along with a team of artists and my wonderful husband we have put together Printable Music Games. After our intitial creation phase in 2006-2007 we have spent the last few years refining and improving the games in response to the feedback of hundreds of music teachers across the world who have used them. This is not some part time, scam product where someone threw it together and put it on the internet in their spare time. My husband and I created a company which we run full time to create products and provide excellent customer support. If I had time to create these games when I was teaching, I would have done so. The fact is that you just don’t have the time when working full time to create materials like this. The payment system is completely automatic, and you will receive instant access to the product. In less than five minutes you could be printing out the games ready for use straight away! Twenty Printable Games with variations, over 150 pages in total of printable materialsLifetime access to the website to download what you need, when you need it. Game 13 Stop its Wrong! Think about this: Over the course of a year this amazing package of materials is going to cost you less than $2 per teaching week! So for less than one cup of coffee per teaching week you can discover the secrets to inspiring and motivating young children, and getting even the most stubborn and badly behaved children to practice! So now you have seen how we at the Fun Music Company inspire and motivate children to learn music. We no longer teach ourselves, so that we can put our full energy into creating the best materials, and supporting other teachers and parents in making music learning fun. Claim your copy now before its too late! P.S. Still Skeptical? I understand – and thats why I’m offering you a 90 Day risk free money back guarantee – all you have to do is contact us and we will refund your money, no questions asked!